** NAVIGATION / BLINDSPOT MODULE / REVERSE CAMERA / FRONT AND REVERSE SENSORS **4.99% Financing Available** Price Includes Certification(Safety), Emissions Test, Oil Change and Complete History Report. Price Does Not Include Tax and Licensing. No Administration Fees. No Hidden Fees. No Surprises. 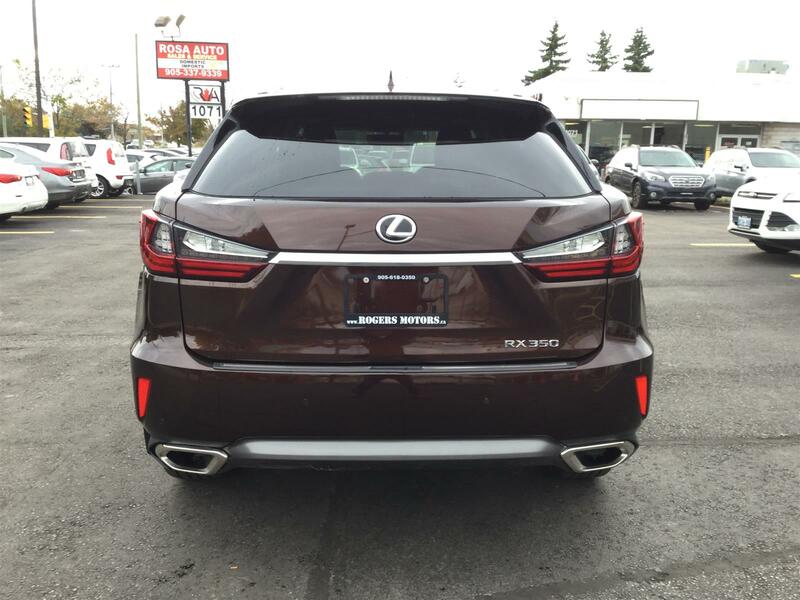 This 2016 Lexus RX350 Comes Loaded With All the Luxury Power Options Including, Navigation, Reverse Camera, Leather, Power Windows, Power Locks, Power Mirrors, Heated Mirrors, Power Seats, Heated Seats, Push Start, Bluetooth, Premium Sound System, Steering Wheel Controls, Telescoping Steering Wheel, Premium Alloy Rims, Smart Key Entry, Automatic Transmission, and so Much More! One Owner. The Car Has Been Very Well Maintained! The Body and Interior are in Excellent Condition. We Also Accept Trade Ins! Financing Available For Good, Bad or No Credit Starting at 4.99% O.A.C. We Also Have Upto 6 Months With No Payments Available. Ask Us About Our Financing Specials. Call Today to Schedule Your Appointment! Located Beside the QEW Toronto. We Service What We Sell. Our Full Service Dealership Has A full in-house Auto Service Center With Licensed Mechanics. 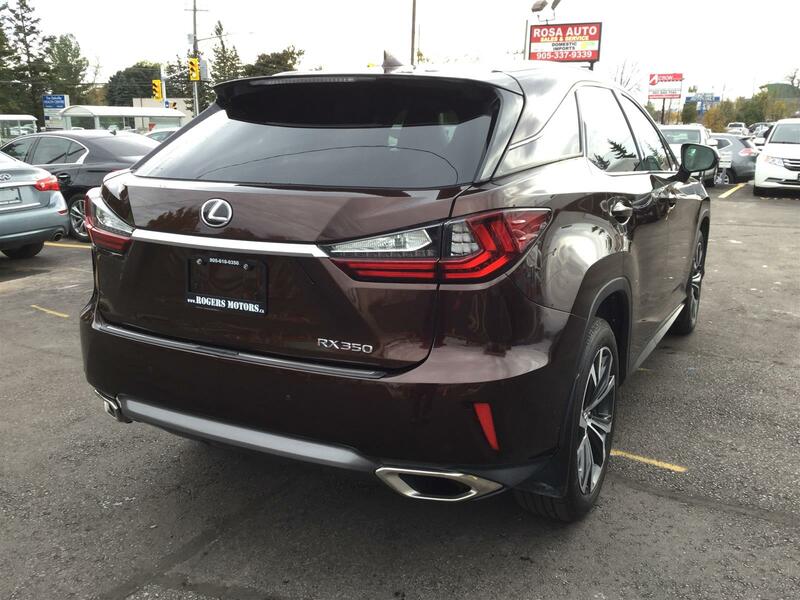 Shop Rogers Motors For Your New Used Cars, Used Trucks, Used SUVand#39;s or Used Minivans! Thank You For Considering Rogerand#39;s Motors. Family Owned and Operated. Come Visit Rogers Motors and Experience the Difference in Service.